The church has produced a full-length movie! Running for 5 nights and still on-going as I write this. We are privileged to have such a wonderful cast and crew. So many talents amongst us! The script for the movie revolves around someone who gets a second chance. One would ask does anyone deserve second chances? If so, who? Should it be this person? Or that character? Challenging moments come up, heart wrenching decisions to be made, tragedies which potentially make or break a person are depicted…..
After viewing the very touching movie, viewers are invited to mingle with the guests. 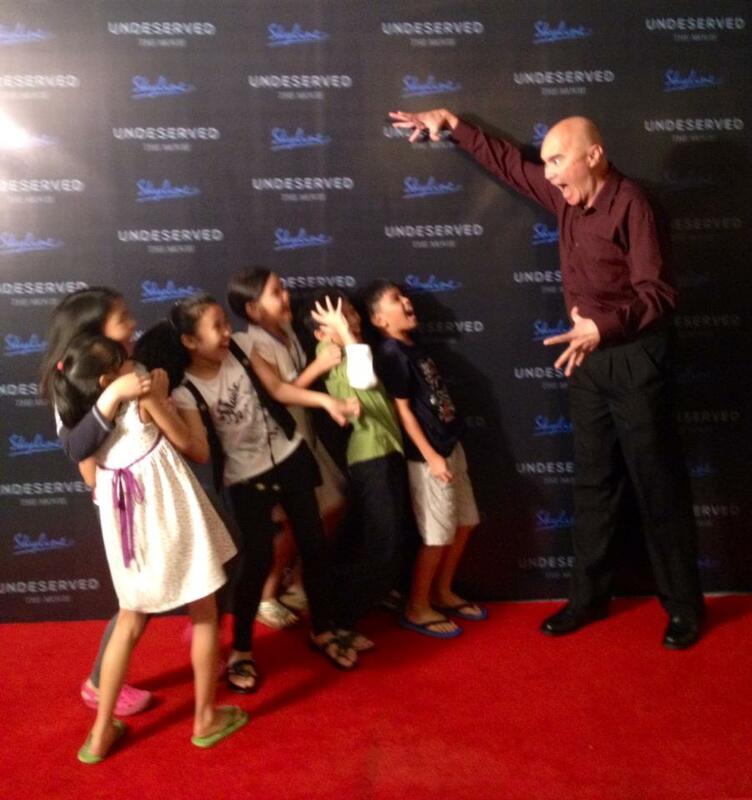 This particular group of children were delighted to be scared by the star! What a wonderful night it has been! And promises to continue to be so! A must watch if you are in the area! As I said to the young man this morning, it wasn’t until he made the switch from one sound system to the other that the shortfall of the former was obvious. But with the latter system came along a whine which would go louder before it disappeared…. Yes, the sound system in the church has been playing up. Worse, there was a burning smell coming from the mixer. The system has been serving us well for more than ten years. But it does look like we have to buy a new one soon. Electronics can only last so long; sooner or later it will become more troublesome to upkeep, especially when well passed its shelf life. This will cost a fair bit as other things such as stereo stands and new speakers would have to be added as well. I am glad that I don’t have to be the one to figure out what is needed, but needed is the word, and soon. We have a major event coming up! It is official! The church has grown so much of late! More and more people coming in, many because they are searching and have found the answers they need. Their previous beliefs, for various reasons, have not provided the answers for the spiritual vacuums in their lives. Their problems have led them to seek for solutions in other places. Which leads us to a new problem for us – accommodating the growth in numbers! For a start, I suppose we need to look at seating. We will need some changes. Perhaps some stacking church chairs would be something to consider – that would free floor space for other things such as the youth meetings where they can sit down on the floor…. Problems, but good ones. Changes afoot…. stay tuned!